et nunc, et in perpetuum. Amen. 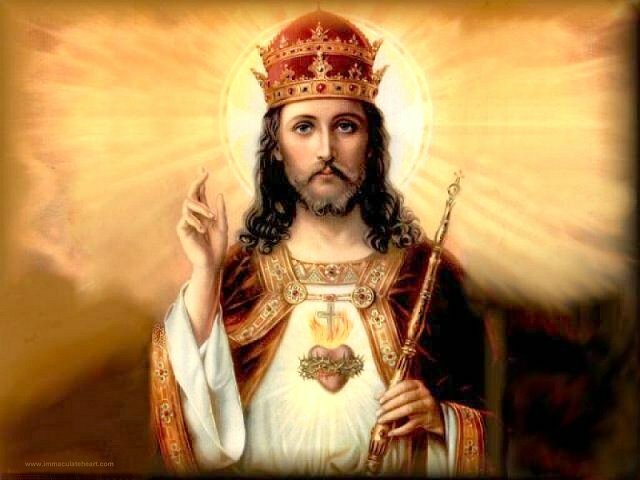 "O Jesus, admirable king and noble conqueror, sweetness ineffable, wholly to be desired." Totus, wholly, altogether, above all else. 2. "When Thou dost visit our heart, then truth illuminates it; the vanity of the world becomes contemptible, and charity glows within." 3. "O Jesus, sweetness of hearts, living fountain, light of intellects, Thou dost surpass all joys and all desires." 4. "Let all confess Jesus, let all earnestly ask for His love; let all zealously seek Jesus, and in seeking Him become enkindled." 5. "Thee, O Jesus, may our voices praise; may the whole course of our lives (mores) give testimony of Thee; may our hearts love Thee now and forever."